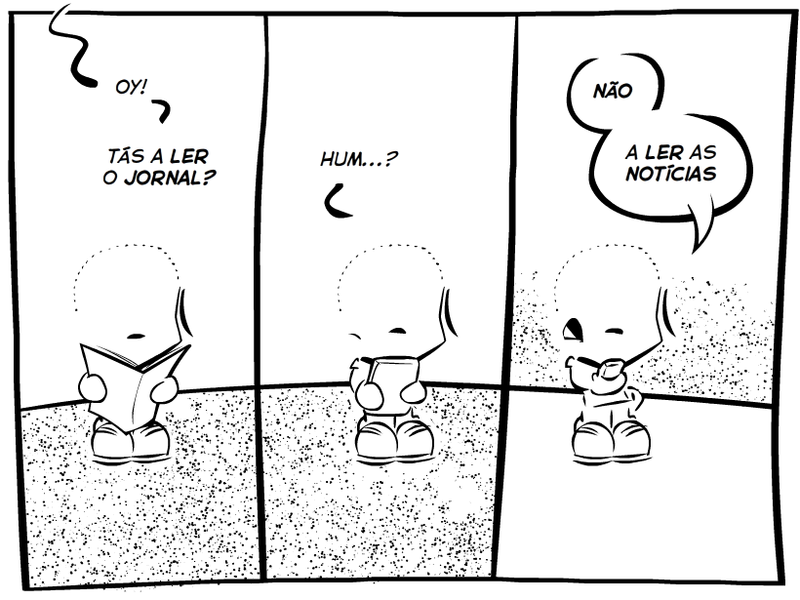 Nem de propósito: a revisitar a história dos webcomics encontrámos a respeito do ill-fated "Modern Tales" de Joey Manley uma moral que se estende a outro nosso domínio de interesse: a imprensa. Dessa peça, e como o falecido Joey procurou criar um hub financeiramente viável para suportar os criadores que neste participavam - Jesse Hamm, Gene Luen Yang, Dirk Tiede. Lark Pien, Jason Shiga, Lea Hernandez, Chuck Whelon, Joe Zabel, John Barber, Jim Zubkavich, Chris Shadoian, Cat Garza, Tom Hart et al., o "American Elf" do James Kochalka corria num sítio específico mas com uma entrada no MT. "Joey had a plan for making money". We came tantalizingly close sometimes, but we never reached that goal. What we were doing was smart and beautiful and funny and raunchy and tragic and cool, and color was free and courage didn’t cost much, and there was no reason we couldn’t take over the world. Did we? Now Modern Tales is shuttering its virtual doors, after a run of ten years and change. I suppose I always knew that one of these days I’d be writing its obituary; websites don’t last forever, after all. E onde a fábula -again, 2013- se estende ao presente, noutros sets. 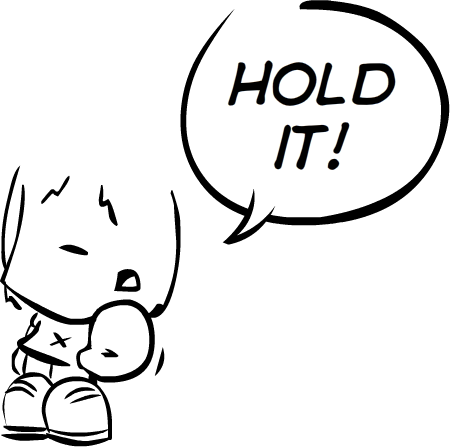 In this, the second dot-com boom, webcomics collectives are out. Instead of joining together, we’re decentralizing, diffusing into social media and multiple platforms, turning from collectivist to libertarian. Webcomics don’t even need websites anymore. Guardian Media Group (GMG), the parent company of the Guardian and Observer print and digital businesses, has decided to move from its Berliner newspaper format to the smaller size as part of a major cost-saving drive. E poderíamos não acrescentar nada à peça, mas depois de imersos em leitura no longo historial de portais webcomics que sucumbiram aos hábitos digitais, é-nos impossível ler o puff-piece que acompanha a notícia sem a cortar ao meio e remoer nos floreados. Antes, o quem-como-porquê. The Guardian has signed a contract for Trinity Mirror, publisher of the Daily Mirror, Sunday Mirror and Sunday People, to print the titles from early next year. GMG’s three specially commissioned £80m printing presses in London and Manchester will be sold or scrapped. The move to outsource is expected to generate millions of pounds in savings annually. The plan is for GMG to break even, or at least for losses to be at a sustainable level, by April 2019. The print industry continues to evolve, and we must evolve with it. The introduction of the Berliner format in 2005 was a historic moment for the Guardian, and we won award after award for our world-class design and innovation, including world’s best-designed newspaper twice in three years. It is a beautiful format. But declining circulations mean that printing the Berliner is becoming increasingly expensive. Moving to a tabloid format will allow us to be far more flexible in responding to changing print demand. It will allow us to save millions of pounds each year, helping us to become financially sustainable so that we can keep investing in the most important thing: Guardian journalism. We have spoken to print readers who have told us clearly that it is the great journalism, photography, graphics and design that they value, not the shape and size of the newspaper. A nota é de esperança, mas o entrelinhas não augura nada de bom. Primeiro, aquilo do papel, esse começa a custar demasiado e afinal é possível separar as notícias do seu formato. The Guardian’s average circulation in April was 154,000 compared with 341,000 in the same month in 2005, when the titles started printing in Berliner format, meaning over the years the presses have become increasingly expensive to run. The move has been prompted by a number of factors including continuing sharp falls in the print advertising market and the rising cost of publishing newspapers as consumers move towards digital media. This has been exacerbated by a slowing in digital revenue generation as Google and Facebook hoover up the lion’s share of the online advertising market. The Guardian had no plans to stop printing and follow the lead set by its rival The Independent by becoming a web-only news platform. Acreditamos que não. Tal com a longa lista de portais de webcomics pré-Facebook que ficaram pelo caminho também não tinham planos alternativos a um modelo económico baseado em ads. Depois cenas-e-tal aconteceram... Nem os webcomics precisam mais de websites, como os newspapers começam a dispensar o paper. The web industry continues to evolve, and we must evolve with it.